As we head rapidly towards the end of 2018 the prospect of Christmas and New Year is daunting for many due to the cost of the celebrations. With Christmas being as much a cultural as a religious event for most people, and New Year being a party time too, this article is all about some hints and tips for budgeting at this time of year. The holidays are a time when people want to splash out but it is all too easy to get carried away with all the advertising, tempting shop displays, and the associated pressure to make everything perfect. The cost of living in the UAE is higher than ever and with many people having concerns about expenditure, and even job security, there are ways to cut back but still have a good time. 1. For any expensive event it makes sense to set aside money in advance. It doesn’t cost you any less but saving a little each month is easier than a big hit in one month. It may be too late this year, but for next year, saving a little every month with certainly ease the financial burden. 2. Give yourself a spending limit. Take a look at the money you have and set a limit accordingly. Gifts should be about thoughtfulness, not the cost. 3. Try not to load up that credit card. Having to pay off a big bill in January and beyond will take the shine off 2019. The interest rates on credit cards are high so you’ll end up spending even more in interest if it takes months to pay off. 4. Try not to get carried away. Shop with a list, that you can check twice, so you don’t buy too much or overspend. Impulse buying is dangerous. 5. Christmas is one day, or at least no more than 12, so don’t ruin a few months or longer by spending far more than you can afford. 6. We all want children, and our loved ones, to have a wonderful time but Christmas is about so much more than just gifts. If your children are asking for gifts that are too expensive you can explain that Father Christmas/ Santa Claus has to provide gifts for millions of children so there is a limit to what can be given. 7. Where appropriate, buy some bits and pieces early and stash them in one place but don’t forget where you put them! 8. Reconsider who you buy gifts for. Do you need to spend a great deal on that cousin you never see and don’t really like? Maybe make a decision in the extended family to only buy for children and partners, or agree a limit for adults. 9. 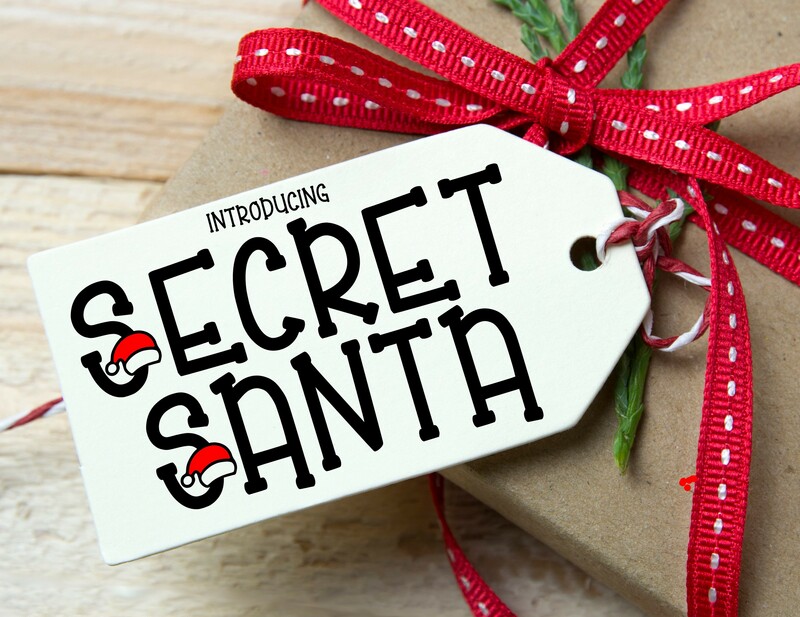 As an alternative to buying large presents for adults, if you are getting together over the festive season why not organise a Secret Santa? Fix a spending limit and make people be imaginative. There is plenty of fun to be had by doing this too. 10. Instead of buying expensive gifts why not consider more personalised items? This takes a little more planning but doesn’t have to be expensive and the thought that goes in to a more personal gift is very much in keeping with the season. Or buy more individual items from local markets. 11. Don’t overlook buying some items second-hand. Larger toys for children can often be found for sale in very good condition and at much less than new. Plan ahead and you can even refurbish some slightly worn things. Wrap it up and the children will neither know nor care. 12. On a similar topic, do you have things that you no longer need and can sell to cover the cost of seasonal spending? There are loads of selling groups and a pre-Christmas clear out makes a lot of sense. 13. Shop around. Prices can vary between retailers so you can save money by checking prices especially on big ticket items. If you plan ahead you may also save on some things by purchasing from overseas. This can work best if you have family visiting who can bring items as otherwise savings can be lost on the cost of shipping. 14. Shop around for food too. 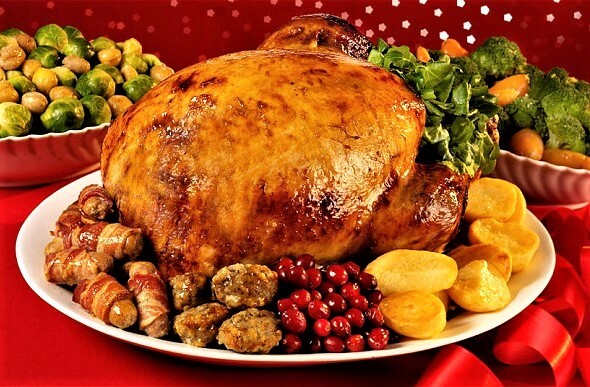 The price of a turkey will vary, as will brunches if you plan to eat out on the day. Even though many offers are not valid on certain days, booking a brunch ahead can be cheaper. 15. Having a meal delivered is not as expensive an option as it might sound once you factor in the cost of ingredients and portions are usually fairly generous. Again, savings can be had by ordering well ahead of time. 16. Younger children are often as interested in the packaging than an expensive toy and just love having packages to open. Keep them happy with lots of cheaper small items and never wrap things together if they can be kept separate for maximum unwrapping pleasure. 17. If you can be relaxed about buying certain items it can be worth waiting until shortly before the big day to start buying. Many stores discount their Christmas items, decorations, cards and paper, 7-10 days before the 25th December so significant savings can be made. 18. If planning a party. ask your guests to bring a dish of food or some snacks. We all know how expensive it can be to host an event so everyone will be happy to help out a little and spread the cost. 19. There are loads of seasonal events on from now until the end of the year and many are free to attend. 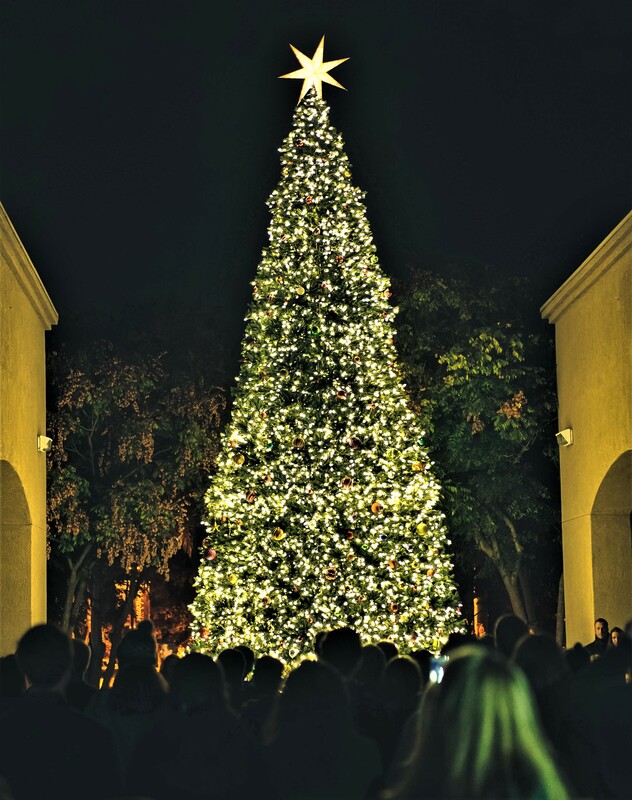 Get into the festive spirit by attending a tree-lighting ceremony or go to a Christmas market. The malls are decked out and a walk around looking at the displays can be enough to make you feel festive. 20. Above all, remember that this is the season of goodwill and peace to all men, not the just the season of spending money. Make this year’s celebrations about fun and the real joys of Christmas – family, friends, fun and consideration for others. To arrange a meeting to discuss any aspect of your personal financial planning, please email me at keren@holbornassets.com Please take a look at the other useful articles on this website. This entry was posted in General financial information, Uncategorized. Bookmark the permalink. You provide really helpful tips to save money on Christmas and New year. Making a list of items before going shopping is a good a way to cut down unnecessary expenses and it helps us to remember necessary items.